Sarah's Threads: Seattle Fabric Store News: Drygoods Design is moving! Seattle Fabric Store News: Drygoods Design is moving! 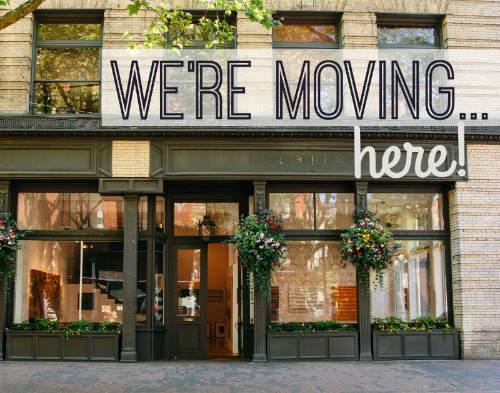 In Seattle Fabric store news, my favorite local store, Drygoods Design is moving from Ballard to Pioneer Square! They've had a cute, but hard to find store for a while (through a coffeeshop, down a hallway and around the corner, kind of place). So this will be a great change for them. They are opening the end of August at the corner of Occidental and Main. Here's a cute photo from their cute newsletter that shows the front. Can't wait till they open!